ANew York Times obituary brought us the news of Noboru Ando’s (1926-2015) death. That name may not ring a bell for many folks in the west, but in Japan he was infamous. 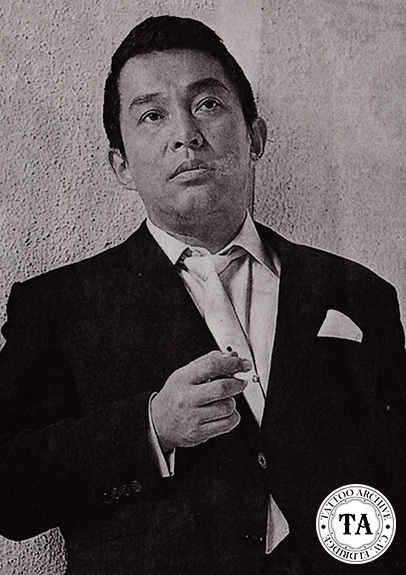 In the 1950s Ando was a yakuza boss with his own gang known as Azuma Kogyo. He and his gang ran afoul of the law in 1958 and Ando was arrested for attempted murder and spent the next six years in prison. This was not the first time Ando ran into trouble with authority. After a couple of expulsions from middle school he began to spend time on the streets and soon found himself in Tama Reformatory. After a short stint in the military, Ando was back on the streets making a name for himself as a brawler favoring the straight razor as his weapon. After his release from prison in 1964 Ando broke up his gang. He said it was in part because of a death of one of his lieutenants. Ando was soon approached by producers to star in a movie based on a gangster’s life. 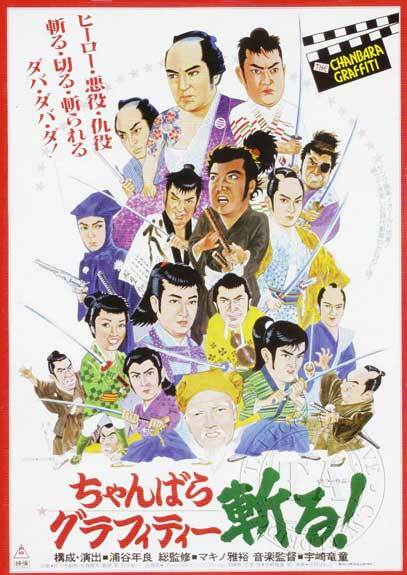 The movie Blood and Rules was a hit and established Ando as a star in the yakuza genre, which at that time was almost as popular as samurai films. When asked why he chose acting after his release from prison he said, “To be brief, I was broke.” He went on to say that acting came easily to him as a result of his underworld life. “In Japan, the only difference between yakuza and yakusha (actor) is one hiragana character,” he said. For the next four decades Ando stayed in the public eye staring in and producing films, writing novels and self-help books and made records as a singer. It is unknown if Noboru Ando was tattooed or not, but tattooing in Japan and the yakuza are closely associated. 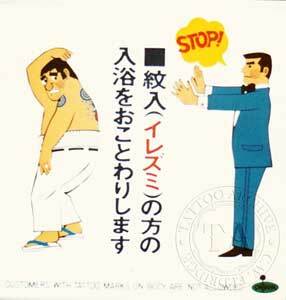 In the 1983 book Yakuza, David Kapland and Alec Dubro stated the 73% of the yakuza has some tattooing. For the general public tattooing and the yakuza are so closely connected that at public baths, signs saying “No Tattoos Allowed” are often seen. Tattooed of not, Ando was easily recognizable because of the large knife scar on his left cheek that was said to be the result of a brawl when he was a young man. Noboru Ando died December 16th 2015 from pneumonia in a Tokyo hospital.